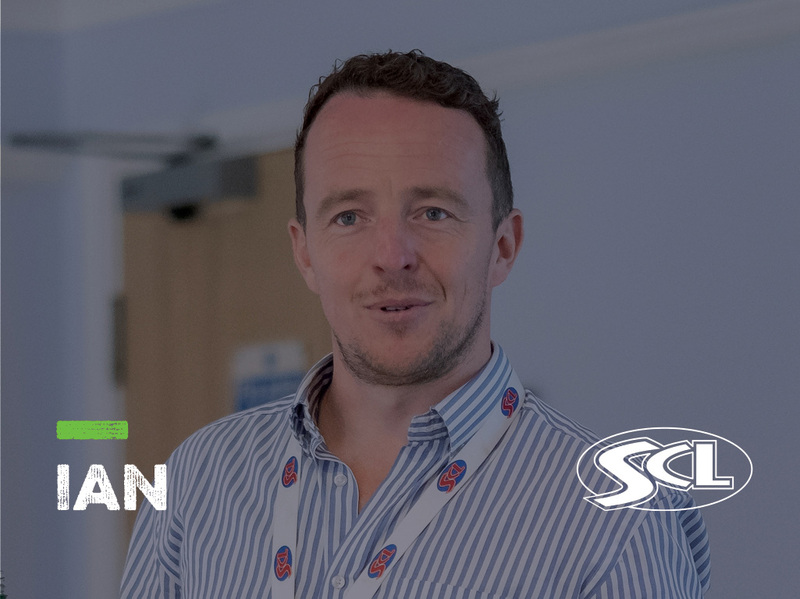 This week, we spoke to Ian Cooper; Curriculum Manager, as we took an inside look into his career, and found out why a role with SCL is #morethanjustajob. I manage 11 sites, from Lowestoft to Exeter, whilst heading up the Premiership Rugby Hitz programme. My role is to recruit, support and develop staff to ensure that they can provide the best possible learning environment. On a day to day basis I support all of my remote staff through email, regular skype calls, site visits and mentor schemes – this can range from Quality Monitoring Visits (progress checks), to meeting over a cup of tea to discuss how the staff are feeling. I am big believer of ensuring that staff are listened to and feel valued, regardless of location or experience. What do you enjoy most about your role as Curriculum Manager? The fact I have complete control and flexibility of my diary - no day is the same! SCL have implicit trust in me to do my role to the best of my ability, whilst providing support and guidance where necessary. SCL are very much an innovative and evolving company who appreciate the importance of valuing staff; this can be as small as an informal conversation to a daily site visit, and the positive impact this has on quantitative figures. Consistent and continual communication in a variety of mediums from all departments to ensure my values and priorities are aligned with SCL. The level of communication allows realignment if necessary to allow me to provide my staff with the best possible support. Personally, I have been given the chance to develop through qualifications – completing my Level 4 TAQA Award, and tangibly by liaising with other departments and being challenged to lead projects and shape my own role. Educationally I struggled – poor A Levels (including fails) and a poor Degree – it took me a long time to realise it’s not about what you’ve got, it is about your drive and motivation that projects your career trajectory. Sport has always been integral to what I do. Despite an overwhelming desire to not go into teaching, I have developed from lifeguard to gym instructor, to College Lecturer to Manager. I’m very much a believer in developing myself continually to ensure I provide the best possible service to my staff. My first year with SCL building the Midlands and North Region from scratch. What are you looking for when it comes to recruiting? Hunger, a willingness to continually develop, and a good smile. What experience is required to be successful as a Curriculum Manager? Adaptability and flexibility - Getting to know each staff member and learning how best they will respond to help them improve and develop. Educational Experience – Ensuring I know all aspects of the curriculum inside out which enables me to cascade down information in its simplest possible form. Simplifying allows less room for interpretation and errors. Furthermore, when answering questions from Lead Providers/Parents it is important to convey a confident and knowledgeable attitude. Personality and building relationships – The realisation of this trumps intelligence. Being able to work with a wide variety of teams helps develop strong working relationships throughout the company. Smile – A smile in whatever environment goes a long way and shows you care. Culture of Teaching – I am a big believer that teaching as a culture is seen in the wrong perspective and this needs to change. Bad experiences are common - it is my responsibility to help alter this, highlight efficiency and streamlined approaches to both admin and teaching. Time management and organisation are vital in helping develop my staff to leave them in a better place than I found them. In my perspective, it is using the Richard Branson philosophy of training staff so they are good enough to leave, but happy enough so they don’t want to. This is a real personal challenge and requires continual reflection and ultimate responsibility of my behalf. Competition – With FE Colleges merging and tending to struggle, coupled with more and more Private Providers becoming more and more prevalent, I need to ensure the learner environment, communication (parents and students) and second mile service are second to none, without compromising quality. Ian, you have to work for things and can’t do the things that matter first time. Intelligence is malleable and not predetermined. 20% of your efforts will give you 80% of your results. What’s the one thing you can do to make everything else easier or unnecessary?